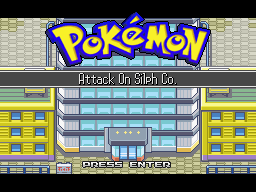 Pokémon: Attack on Silph Co.
Return to Saffron City as a young worker bored of a desk job he's had his whole adult life. His life suddenly takes a 180 turn after the return of a certain criminal organisation. Take control of the young hero and fight your way to the top of the Silph Company. - A hidden event Pokémon somewhere in Saffron? Original characters such as Orion and Grey freshened up the experience. Although I had to grind, the game helped a lot with that via rebattleable trainers and multiple Lucky Eggs. The difficulty was good. I blacked out a lot, but I was easily able to get back to where I was and didn't lose much money. I was able to easily buy items all throughout, since the game loads you with money. The soundtrack was quite pleasant, especially the custom battle themes. Dungeon design was fun to play through, and not too hard to figure out. 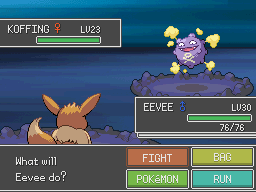 Early game was a slog, with a weak starter and Trainers that had high-ish levels and super-effective moves. Since the entire game was focused on one dungeon, it got a little boring seeing the same scenery all the time. There is limited Pokémon selection. It would be nice to have mechanics updated to Gen 6 (current gen at the time), but I see why you didn't. All in all, a fun game to play through. I hope that you enter again for this year's Jam! Hey NoodlesButt! I remember playing this as part of my Jam series a while back, and I remember my thoughts on the game too! It was a very fun story experience, and losing a bunch at the start really forced me to start strategizing, which is something I rarely find myself doing in a short fangame. I also super enjoyed that it was all in one centralized location, but that you really exploited the full building to its potential. It was a great experience and I'd recommend it to anyone with a few hours to spare and a want to complete a game. Looking forward to what you'll produce in the future! As you know, Noodles, I got the chance to play Attack on Silph Co. recently, and it was awesome to have you on board as I covered a good portion of the game during my stream. I returned to the game yesterday and knocked it out. Overall, I quite enjoyed it for a short fan game. The premise of the game is simple and nostalgic. It seems logical for a guy living in a city to lead a life without Pokémon. It would have been hilarious if you included some baby steps to prod Grey into learning how to be a trainer. I guess that he didn't need much of an introduction to Pokémon to jump right into it. 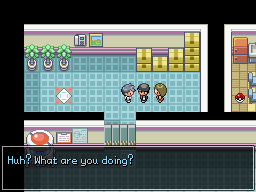 As for the nostalgia, I didn't even remember that Silph Co. building sauntered on for over ten floors, and it was welcoming to explore a place that seemed so familiar despite the layout changes that you made to Saffron City and to the building. Although the circumstances were much different this time, there were some tingles of kiddish delight going through the Rocket-filled city again. The challenge in the game seemed appropriate. Evan described it similarly, but the start of the game immediately prompts you to tread carefully and to consider your battle options wisely before you can improve your party, which engaged me personally. I'm lucky that I had a few people point me to Rotom though; knowing me, I would have forgotten about the room where you can get it and would have struggled with just Eevee for a good bit. Team Rocket grunts grow stronger at a proper rate, and you did well in diversifying their teams with new Pokémon while keeping them somewhat similar with a few commonplace Pokémon. Trying to balance my team between three Pokémon, I definitely had to work to scale Orion's wall of a team. His team threw a wrench into my plans, but thanks to the rematch battles, leveling items, and quick mode that you included, I had no trouble in getting my team to a reasonable level to tackle Orion once more. 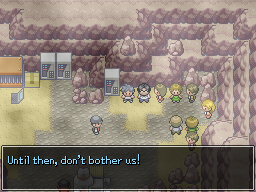 You did a terrific job with Attack on Silph Co. through some of the things I mentioned to plenty of other aspects of the game. Mantager mentioned the solid selection in music amongst other things. Thank you for putting together this enjoyable little game experience. If there is ever a follow-up to Grey's new life purpose, I'll be sure to play it. Have a good day. The characters of Orion and the admins, the thief, and Daisy really stand out to me, because even though we don't spend very much time with them, there's still the feeling of a whole story ready to be told in them. 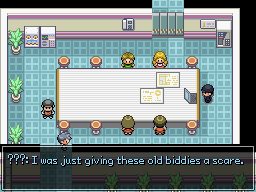 It really makes Kanto a region worth revisiting, even only for one city. That speedup button was super useful! Even though it wasn't a long scene, I loved the background noise when we visited Grey's office life, it really brought the world to life! It was kinda disappointing that the city didn't stop being Rocket-occupied after Orion's defeat. I get why-with nothing left to do in the game, there's not much point in the player wandering back around the map-but I couldn't help but feel a little disappointed to see the city still in danger. Well, franzo/noodlesbutt might have altered the speech of the head and the one who thanks Grey... A switch activated after the battle and added to grunt event via another page or erasing it after the switch is activated would most probably solve it. But it is too good a game to complain about anyways. I think critisism is very useful. No matter how good a game is. Getting opinions from playtesters is the easiest way to improve a game. Just played through the game and I have to say, I actually really enjoyed it! It was simple, yet effective. Nothing too complicated or anything. The only thing I would say is that in the beginning, like what a lot of people mentioned, it seemed pretty dragging in the beginning. 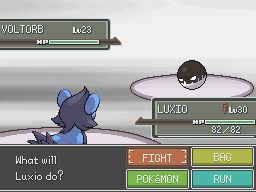 The starter was pretty weak compared to the opponents' Pokémon. Also, I'm not sure if you changed catch rates or anything, but it was actually painstakingly hard for me to catch a Gible. Might've been just be my luck, though. Other than that, the game was extremely enjoyable! I loved it. I'm playing this right now for the first time, and I am really enjoying it! I'm at the end and in desperate need of some methods to help me beat Orion. Not sure if this is the appropriate place to get some help with the game, but couldn't think of a better place to ask. I must have missed the evolution stones for Eevee. Could anyone point out where you get them? I'm sure his evolution would be a tremendous help to my chances at a win. Also, any way to evolve a trade evolution Pokemon in the game? I've got a pretty awesome Graveler right now, but he'd really make a difference as Golem. Also, there's a rebattle-able grunt that's great for exp! Thank you!! I don't know how I missed that. My Graveler is 43 right now, so I think I might be stuck with Graveler, but that's fine! Awesome game! Another great game by NoodlesButt. Engaging storyline, I was invested all the way to the end. Has the right balance of challenge, beat the game with my lovely Espeon, Garchomp, and Rotom Fan (BEST ROTOM FORME, AIR SLASH SLAYS EVERYTHING). I enjoyed the new ideas you included and keep up the awesome work!!!!! For some odd reason I decided to play AOSS before this one, but anyway. I can see a lot of similarities between the two, and see what worked and was carried on to the next game. Searching for keys presented a satisfactory amount of exploring without being too annoyingly difficult - it might have been more interesting if the Silph Co building was physically bigger, though. I liked the touch that everybody who was rescued was hiding out in the Pokémon Center . . . though I didn't notice that until someone pointed that out on stream for me. Also Garchomp makes the game unfairly easy. The game is alright. I like pretty much everything but the level increments. You'll go from facing lvl 38-40 in the battle v the admins, then like 40-45 against Orion. Like, should I train to make the very weird 1-2 hour grind pause then face? Doesn't much sense there. Along with giving Eevee as a starter. It'd be neat to like, have a choice, but not know what each pokeball contains. A bit of random choice. Overall, 7/10. Also, pokemon variation is not the best, and to have to grind level 20-30 when you're level 43 grinding to 48ish is kinda insane-ish. Definitely not 1-2 hours game play.. Honest opinion I liked this a decent bit for what it is in a single small city you do get a decent amount of content able to clear, small amount of pokemon sadly but all good, the battles were more difficult then I expect which I liked, and the few original characters made it all the better. ending team btw was (Garchomp / Sableye / Rotom / Eevee) sadly didn't find the evo stones and missed then but still was able to pull threw. How do I apply the resource pack?